A great originality here: the font and the style go perfectly well together. 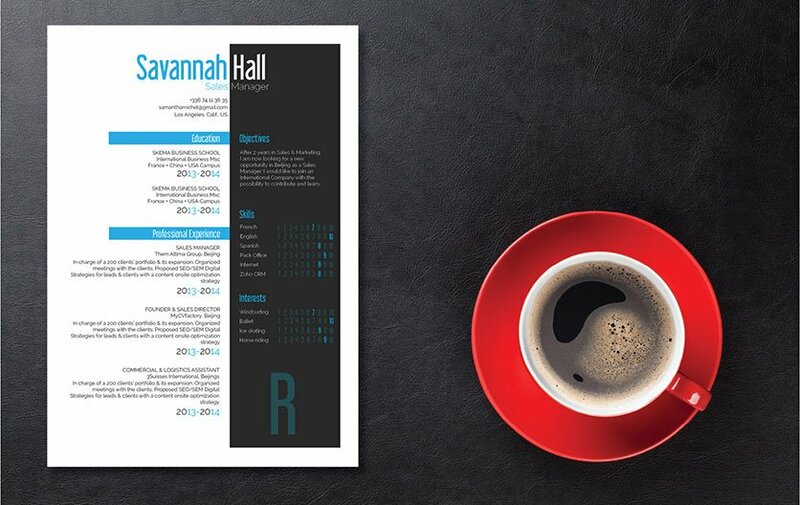 CV template to download "Vivacious"
Looking for an attractive and functional resume ? Then the Vivacious Resume is just for you! This resume template has a very original CV format that features fonts and styles that perfectly work well with each other, which makes this resume a sure fit for any type of job. Applicants with a solid set of skills and experience will find this resume perfect as it lists down all your qualifications with great detail. 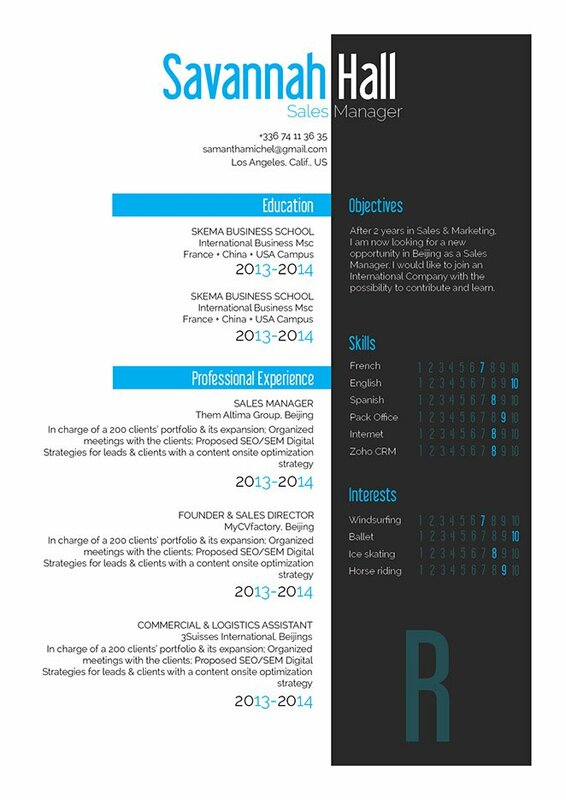 This is one resume template that is sure to get you that dream job! Make it a point to emphasize the points in your resume that are most relevant to the job you're applying to—make it clean and uncluttered so your reader can fully understand what you're trying to convey. Most resume are typically scanned within 10-30 seconds, it doesn't get a full reading the firs time around. So it's best to have all the important information stand out the most. Determine the key parts and phrases in your CV—place these points on sections of our resume that are more apt to be read. For example, placing your skills and interests in a segment where it stands out and is clearly highlighted will further add complement to all the other information written in your CV.